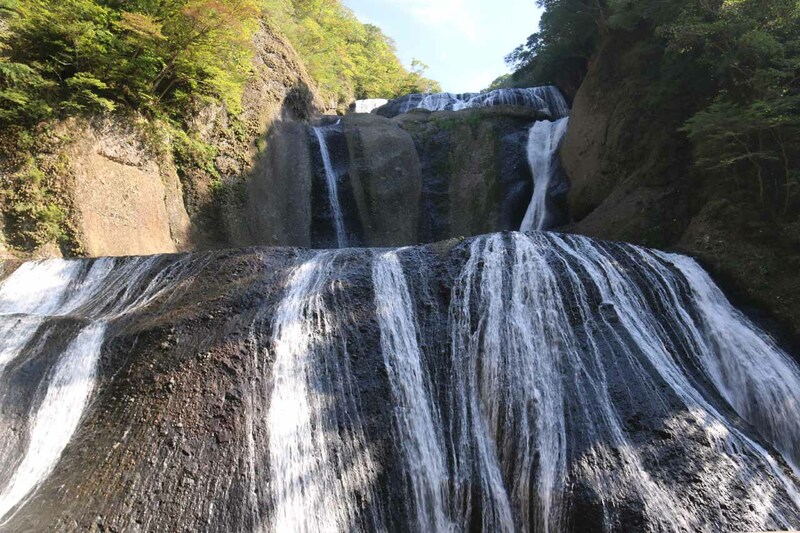 The Fukuroda Waterfall (Fukuroda-no-taki [袋田の滝]; also referred to as just Fukuroda Falls) was a grand waterfall consisting of multiple layers on the Takigawa [滝川; “Falls River”] while sporting reported dimensions of a cumulative height of 120m and a width of about 73m. 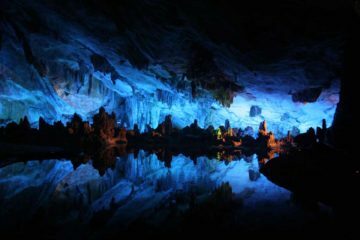 Since it was on a fairly major river system, it was said to have year-round flow and therefore provide the chance of experiencing the falls with the different moods of the seasons. 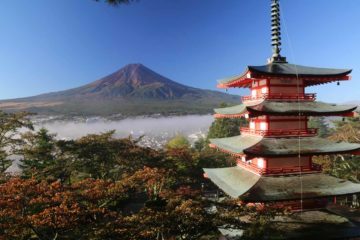 We had targeted the arrival of the koyo (or Fall Colors) with our mid-October visit, but apparently we were a few weeks too early as you can see from the pictures on this page. 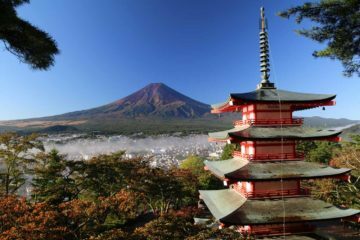 Given our experience, I’d say that the koyo would probably peak more towards the end of October or early November depending on how soon the weather would turn cold. Apparently on the year we visited, the weather was still more on the warm side at this lattitude and altitude. During our visit, we were able to view the falls from a handful of vantage points, including an in-your-face lower view where we were able to appreciate the reported dimensions as it was not possible to capture the whole falls in one picture without putting a smart phone in “pano” mode or doing some serious postprocessed stitching in some software like Photoshop after taking a bunch of partial shots. We were also able to experience more contextual and less overwhelming views from higher platforms as you can see in the photo at the top of this page. I’d imagine such vantage points would also be best for capturing the koyo with the waterfall together. 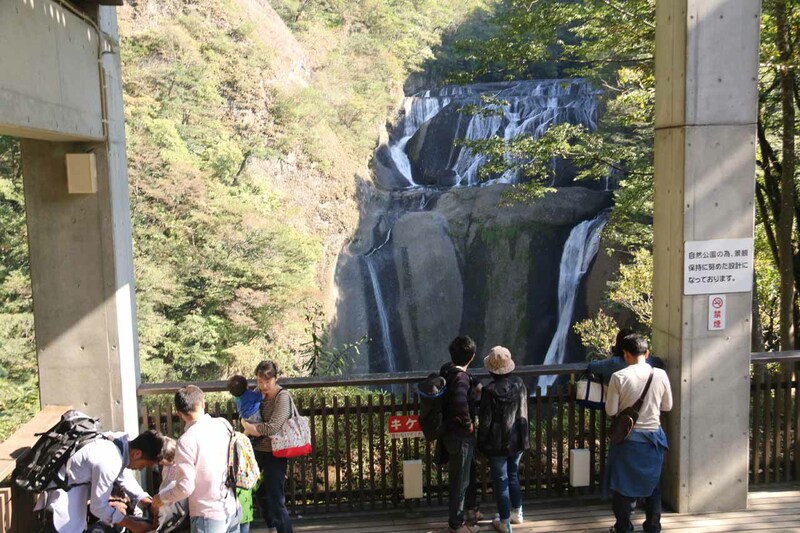 As for our experience itself, this was one waterfall where we used the public transportation system from Tokyo as a long out-and-back day trip. We’ll go into more of the logistics in the directions, but we’ll describe how we walked to the falls after we were dropped off by the public transport. 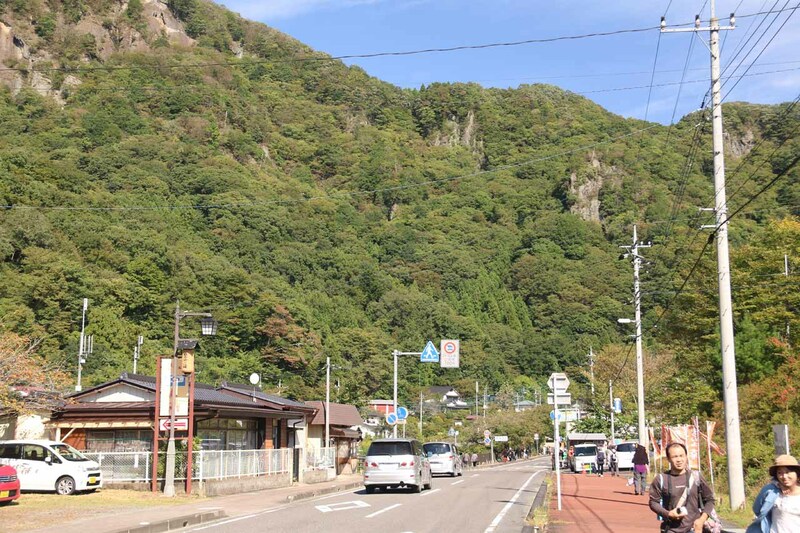 So starting from the Takimoto stop where the local bus dropped us off, we walked east (upstream direction) along the road flanking the southern banks of the Takigawa (or Falls River). On the day we visited (which was a Sunday), there were lots of people so it was pretty straightforward to know where to go, but without such visual clues and with the language barrier, it can be disorienting. In any case, we wound up walking along the road for just under 1km as we started to notice more shops, cafes, and quite a few yakitori road stands. 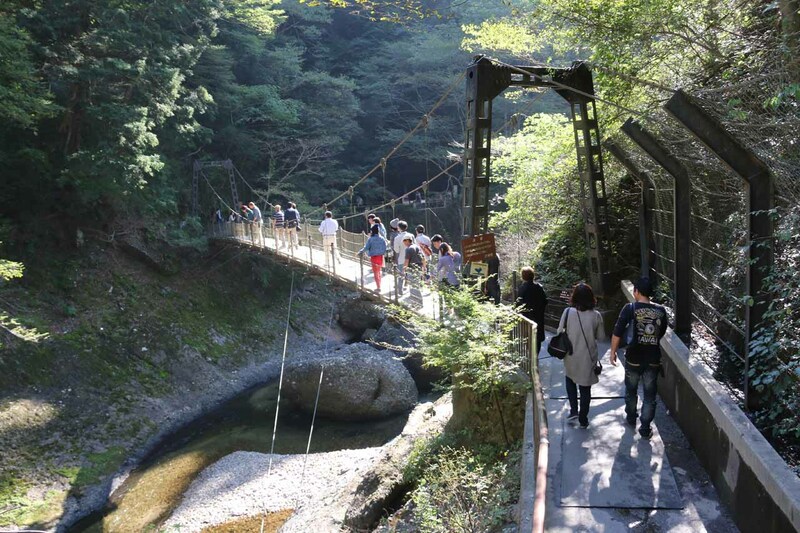 Eventually, we’d come to a bridge, where we saw most of the people cross it then continue along the road on the other side of the river. It turned out that it didn’t matter which side of the river we walked on because the path would ultimately loop, but we’ll continue describing our experience after crossing the bridge and continuing east. 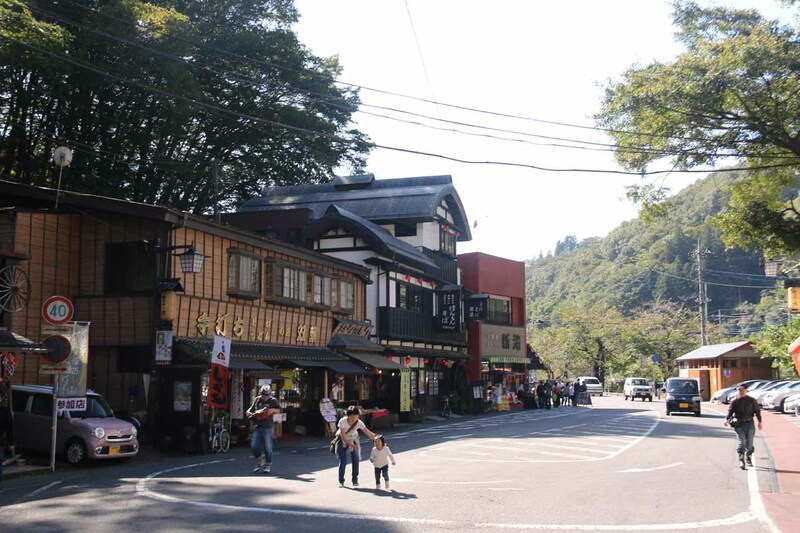 By now, there were even more shops and cafes leading further east upstream along the northern banks of the Takigawa River. We’d eventually see an arrowed signpost (in kanji) letting us know that the Fukuroda Waterfall was to our left at the next junction. 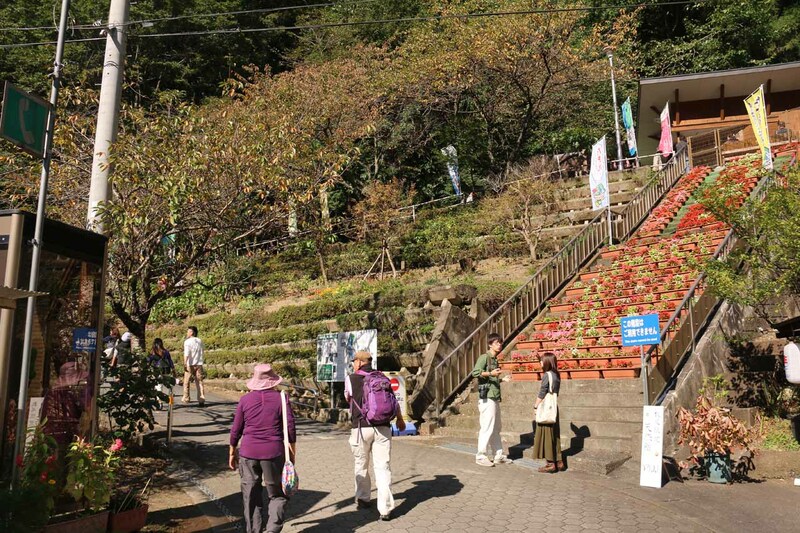 The path then switchbacked up a ramping paved incline (going past a terraced stair-stepped garden with signage urging visitors not to take a shortcut through this garden) before finally getting to an entrance booth where we paid about 300 yen per person to proceed further. 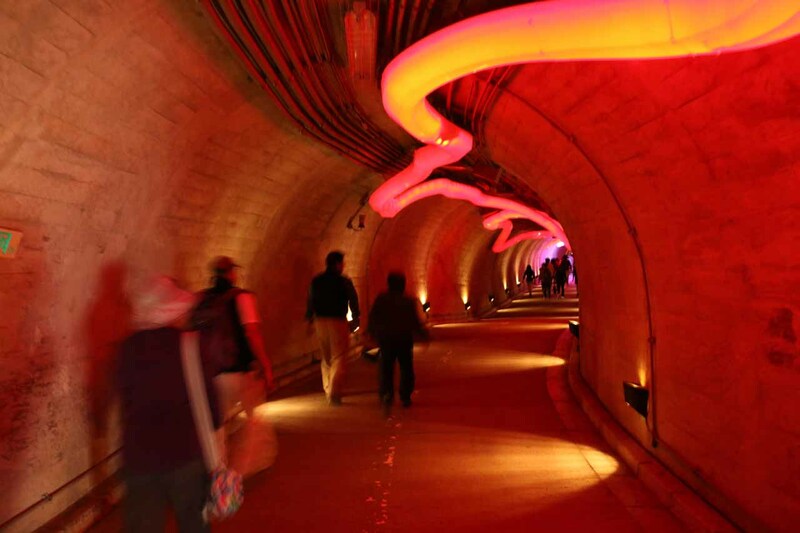 Just beyond the ticket booth the upsloping paved path went into a 276m tunnel that had interesting (almost night club-like) fluorescent lighting within it. 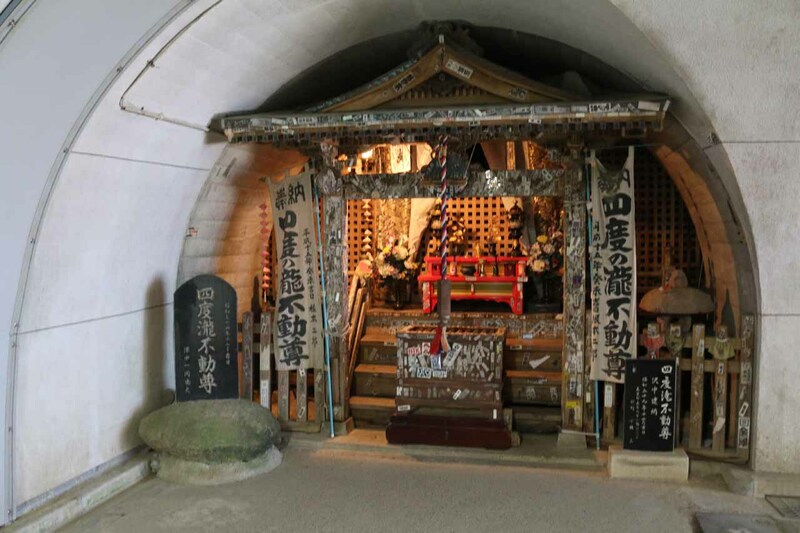 The tunnel had a couple of small shrines as well as a series of junctions. There were four junctions on the right and one on the left. 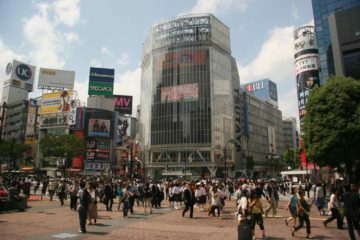 The first junction went to a so-called “Lover’s View” which was just a view of the Takigawa without a view of the falls. 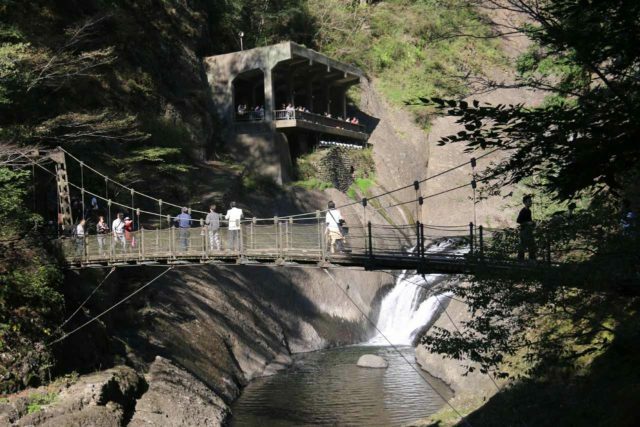 The second junction descended to a suspension bridge with a partial angled view of the Fukuroda Falls while also looping back towards the town as well as providing trail access to the upper trails along some very long and steep steps. 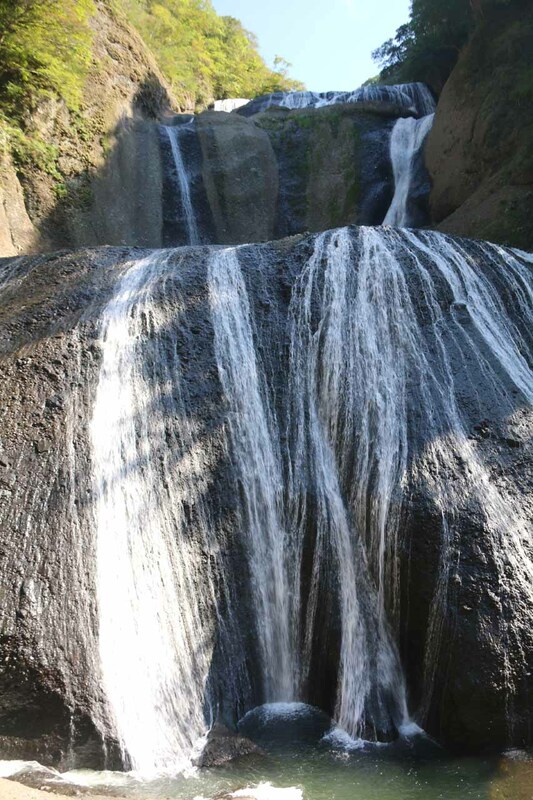 However, the third and fourth junctions went to the lower viewing deck, which was where we got our up-close in-your-face view and essentially got our first taste of the waterfall. The junction on the left went to an elevator that led up to the upper viewing decks. The lower deck was close enough to the falls to feel some of the spray. I’m sure that under higher flow, it would be harder to take photos due to the amount of spray that would be blasting the sheltered concrete deck. The lower deck’s viewing area was wide enough to accommodate dozens of people without really getting in each other’s way. When we had our fill of this view, we then queued up for the elevator, which took us out of the tunnel and onto the upper viewing platforms. 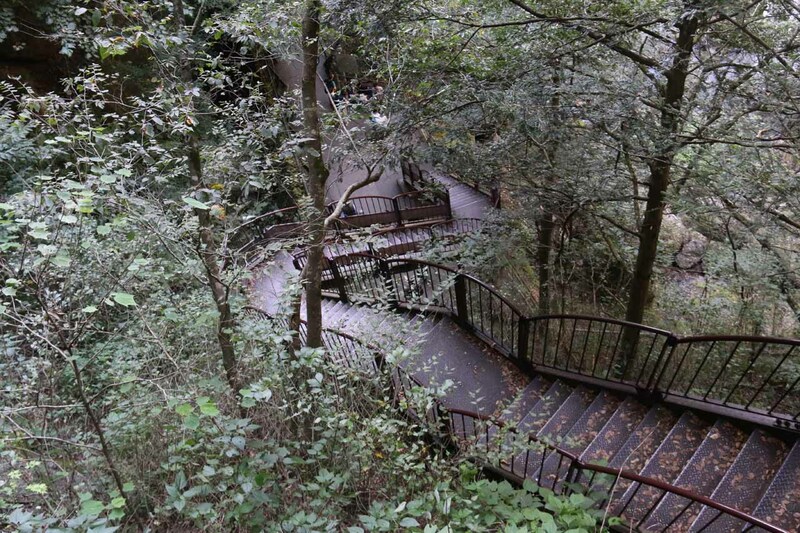 The way they labeled the walking path, they had us immediately go up the steps to the uppermost viewing decks. That was where we were able to get the photo you see at the top of this page. 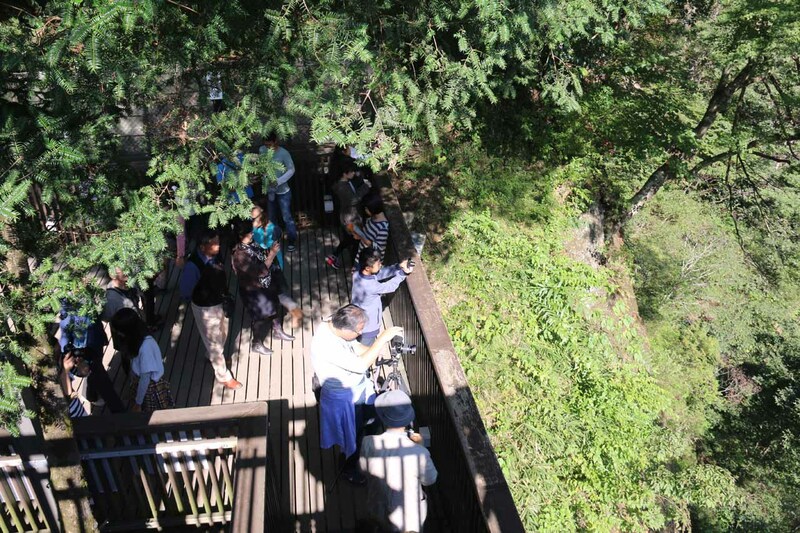 The viewing space was more limited than the lower deck, especially with the foliage below blocking parts of the falls so we had to wait our turn up there. We then slowly experienced the middle and bottom of the upper viewing decks before going back down the elevator. From the tunnel, we then took the descending path that connected with the suspension bridge, which was pretty bouncy. 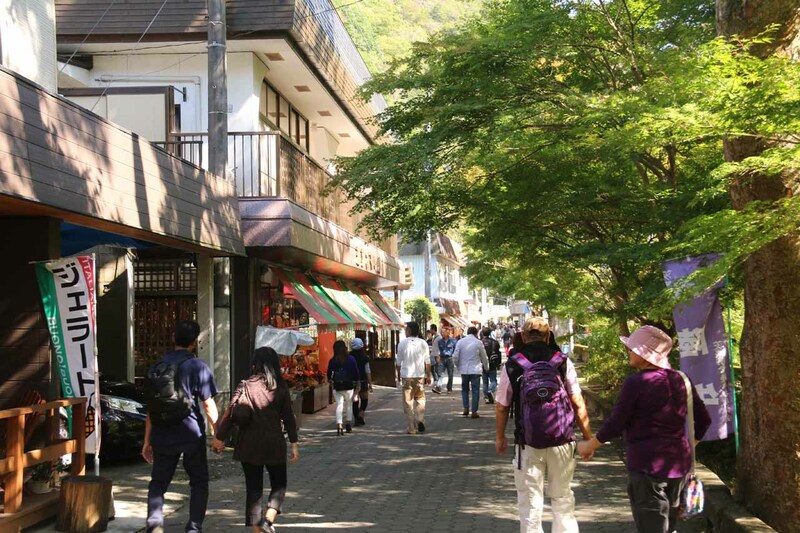 On the other side of the bridge, we had a choice of going up a steep series of steps or continuing on the flatter path that wound up completing the loop by returning to the road we had walked earlier from the Takimoto bus stop. My parents and I wound up spending a little over 1.5 hours in the area though given the train schedule, we probably could have spent an additional hour more before returning to the bus stop. The minimum hiking (or more like walking) distance was probably on the order of about 2.7km round trip. 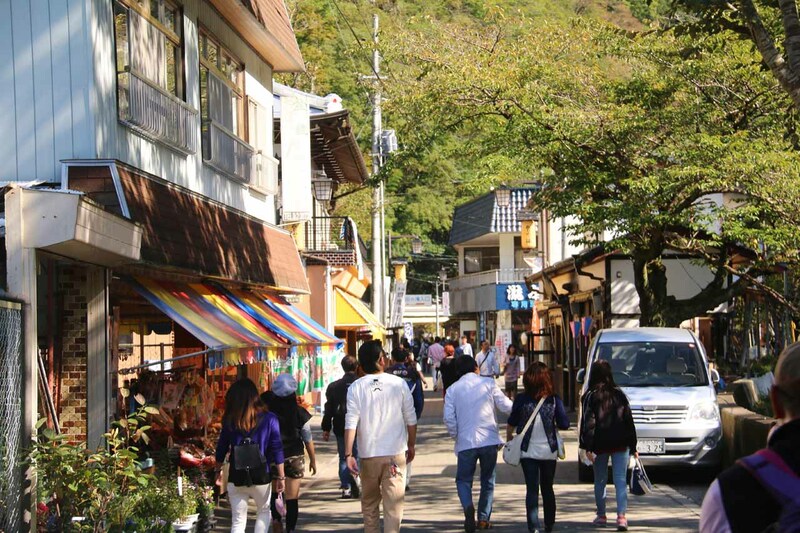 I’m sure if we self-drove, then the walking distance might be a little less than that as we noticed car parks closer to the falls than the Takimoto bus stop. 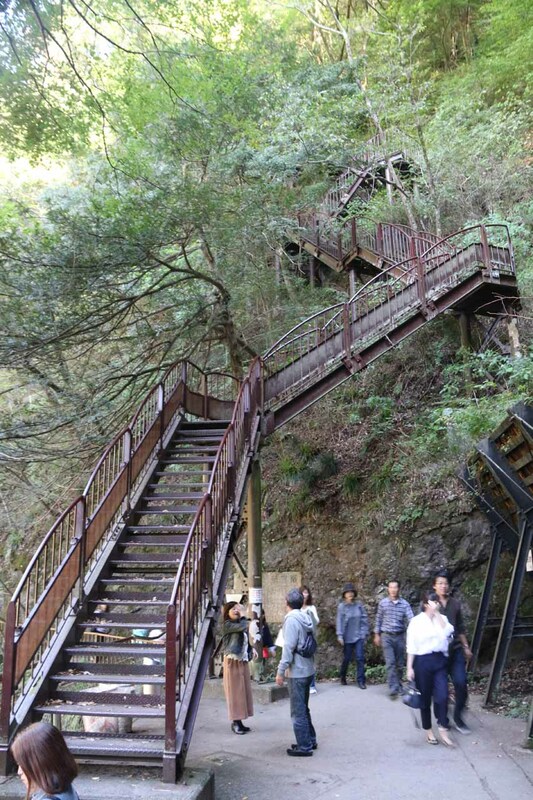 Now during our visit, my parents and I did take some time to go up the steep steps on the far side of the suspension bridge. 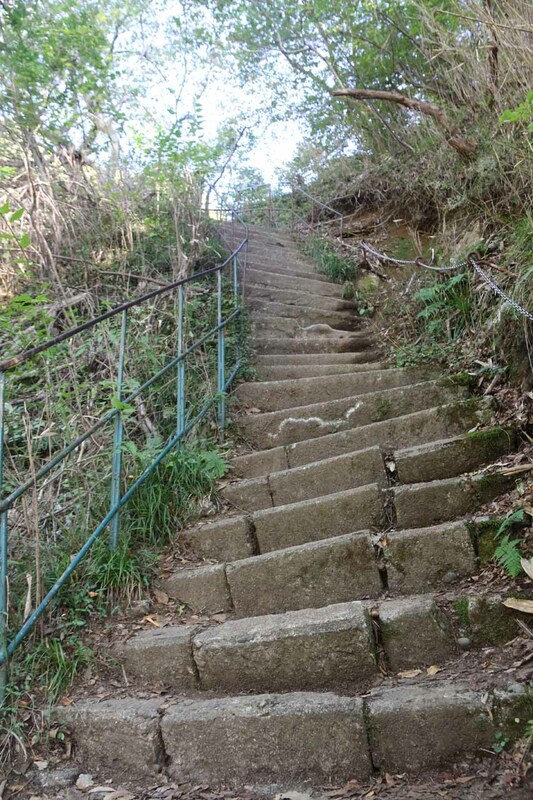 The steps were extensive enough and steep enough to cause us to sweat quite a bit from the workout. And given the amount of time and effort it took to scale most of the steps (we didn’t even get to the end of the climb before turning back near the top of the falls after nearly 15-20 minutes of climbing), we didn’t make it to any of the destinations that the upper trails would’ve taken us. 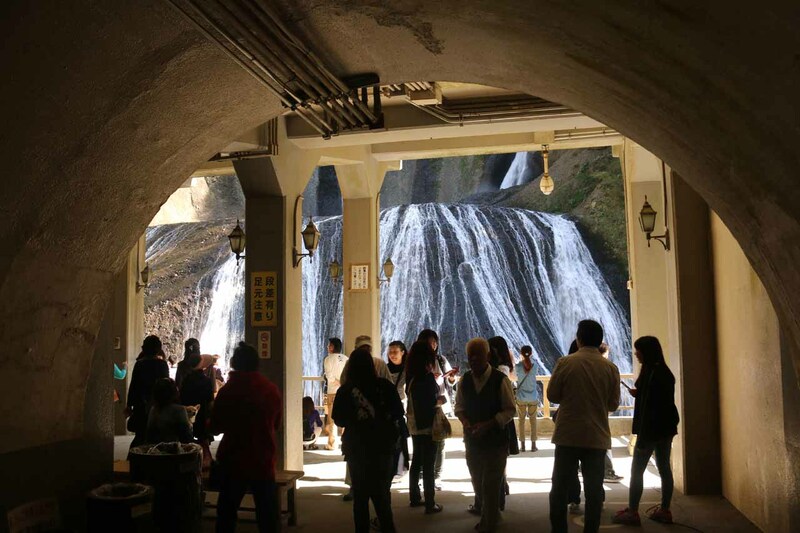 In hindsight, had we persisted for another 10-20 minutes more, then we might have had an opportunity to see an upper waterfall upstream of Fukuroda Falls as well as the spring where the Takigawa would emerge from the mountain. 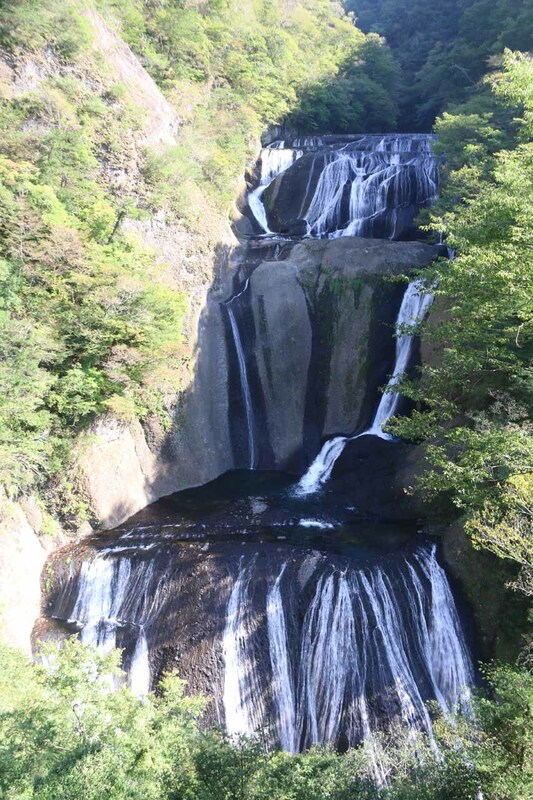 Finally, the Fukuroda Waterfall was the first waterfall that we visited as part of a return trip to Japan that focused mainly on visiting as many of the registered Japan Top 100 Waterfalls as we could that I hadn’t seen in person previously. 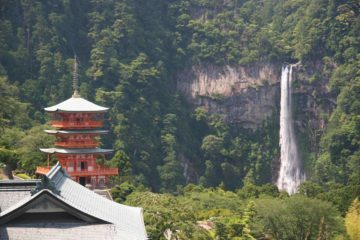 Unlike most such lists that try to tackle this subjective and surprisingly tricky objective of ranking waterfalls (believe us, we know how hard this can be), the Japan Top 100 Waterfalls list actually has a bit of an official feel to it. 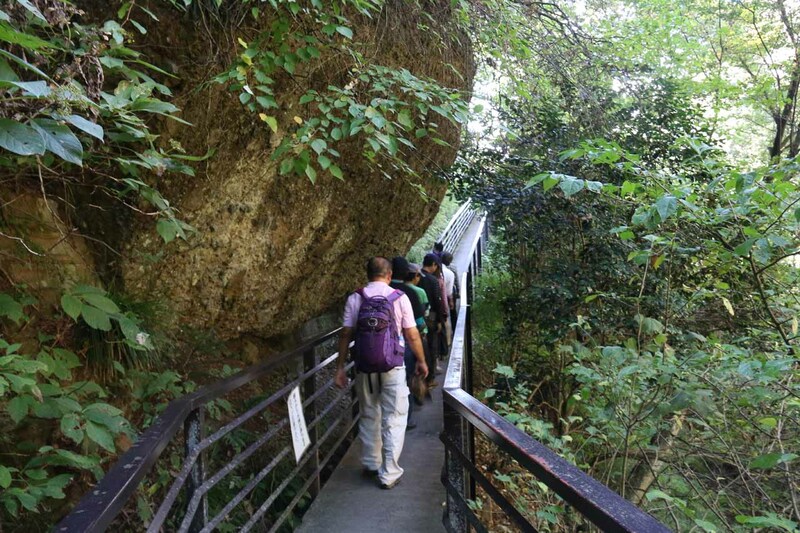 This was because we saw interpretive trail signage (typically in kanji though) that would let visitors know that it was gazetted into such a list. 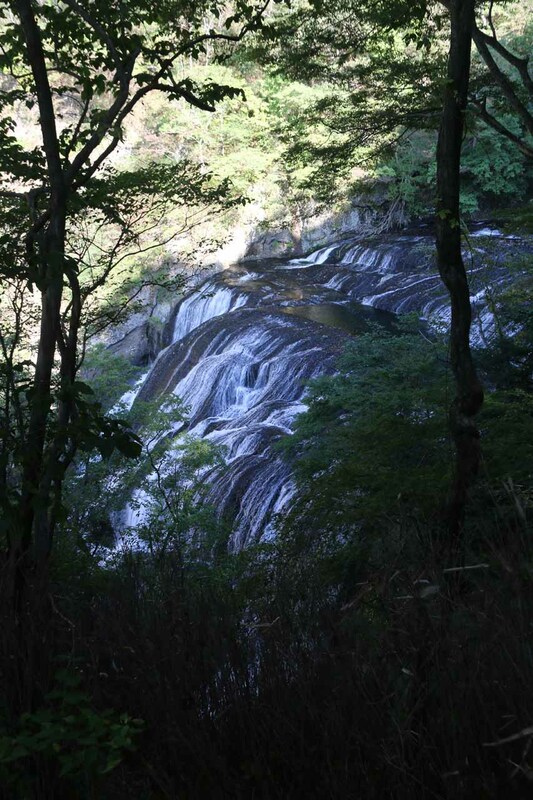 This occurred on almost all such waterfalls, including the Fukuroda Waterfall. 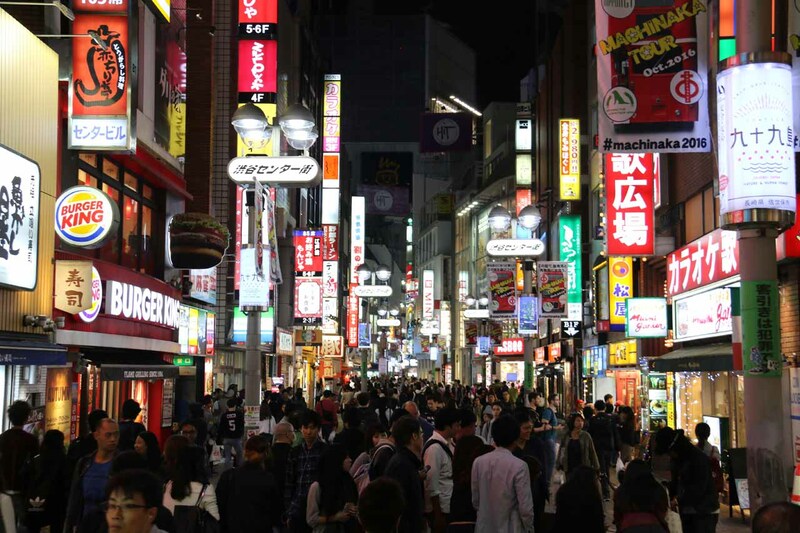 It’s very rare to see such a list be recognized in this manner, but it underscored the backing or legitimizing by the Japanese government of this list. 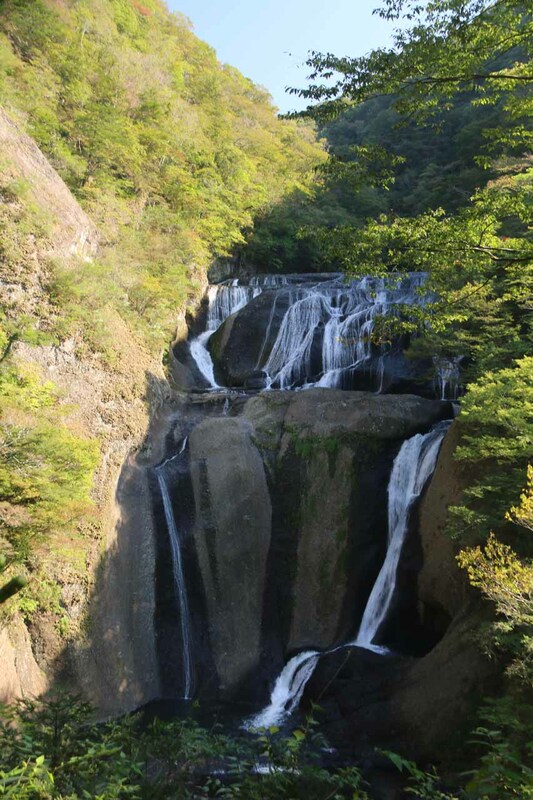 Upon further research on the matter, we learned that the Japan Top 100 Waterfalls List was rubber-stamped by the Ministry of the Environment since 1990 thereby explaining the seemingly legitimate and official nature of the list as apparently this recognition went back at least a couple of decades. 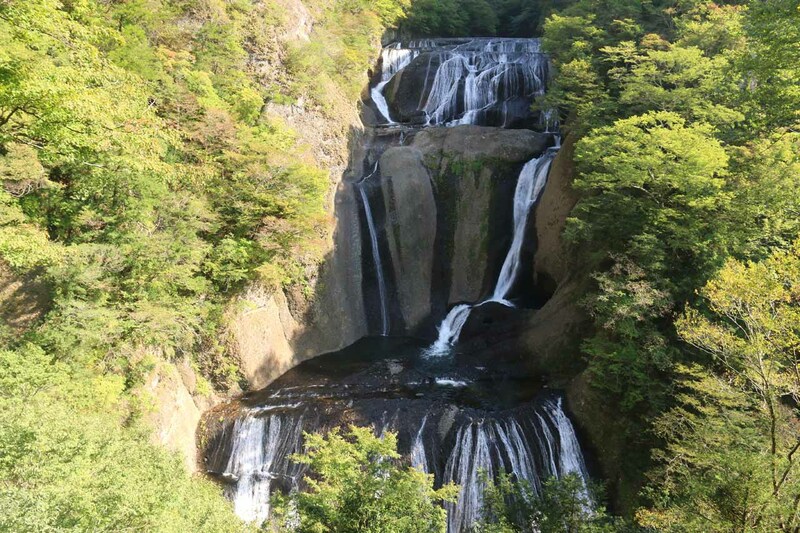 We visited the Fukuroda Waterfall as part of a long out-and-back day trip from Tokyo. The thinking was that since we were ultimately going to go west of Tokyo on our trip, I didn’t want to deal with driving through Tokyo congestion (it’s a huge city that even merges with neighboring cities like Yokohama among others) plus the parking situation would be a hassle (due to lack of availability as well as cost) so we’d delay picking up the rental car until we got out of the greater Tokyo area later on in the trip. 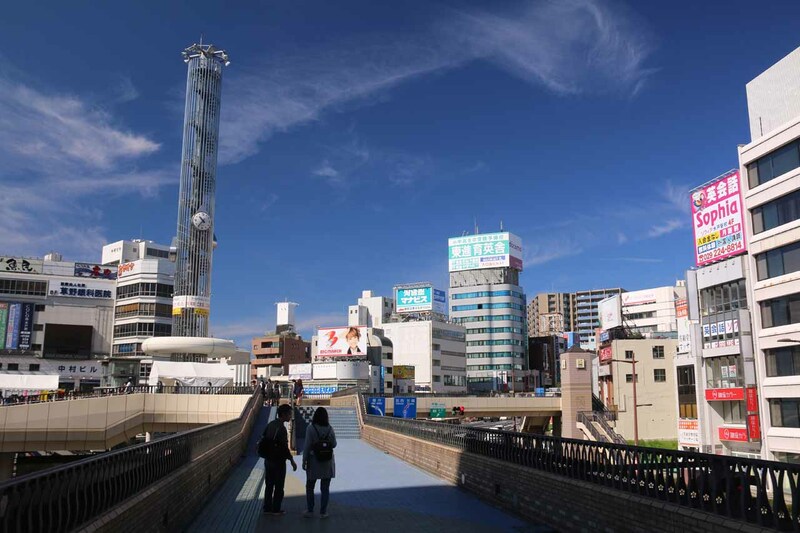 To further complicate our experience, we also managed to catch the wrong train from Tokyo to Mito, which ultimately costed us on the order of 2-3 hours of cumulative delay for the entire day due to the infrequency of the JR Suigun Line. 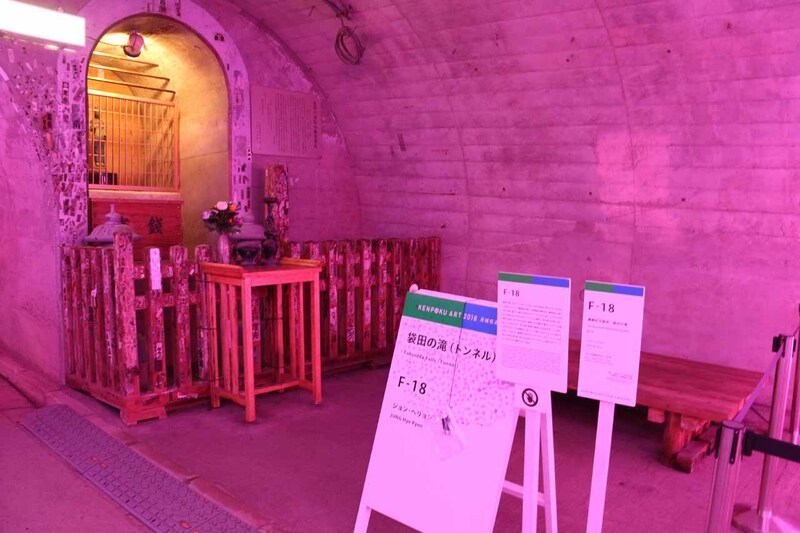 In hindsight, I probably would have self-driven from Narita Airport to Fukuroda anyways or perhaps even flown directly to Fukuroda itself to save on time, but since we can only describe the public transport option as that was the way we did it, then this is what we’ll focus on here. From Tokyo, we had to catch the train to the Tokyo Ueno (上野) Station. 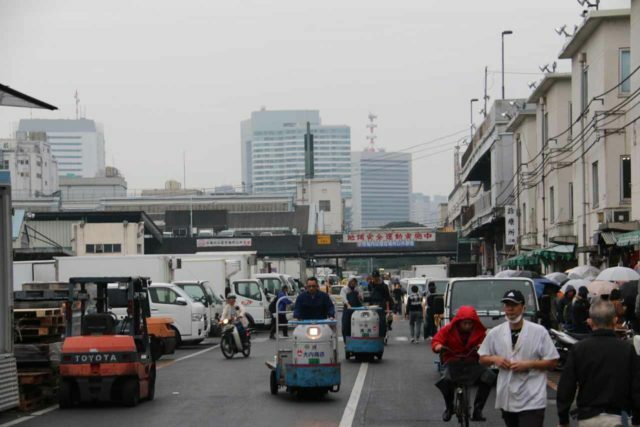 From the Ueno (上野) Station, we then had to catch a special rapid express train (i.e. shinkansen) on the JR Joban Line to Mito (水戸) (make sure you wait at the correct train platform or else you risk doing what we did and wind up taking the wrong train). 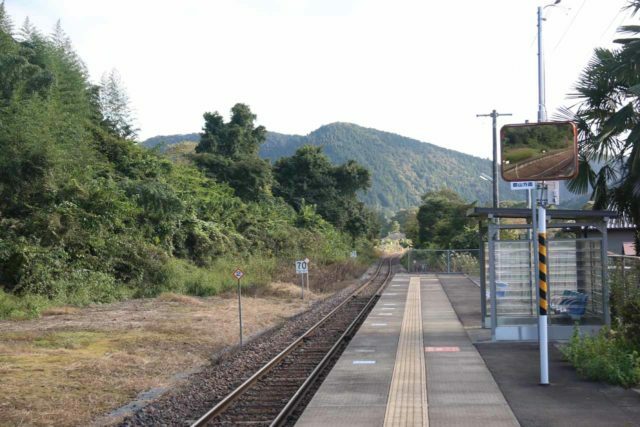 Once in Mito (水戸), we had to connect to the local train on the JR Suigun Line (bound for Koriyama or 郡山) to the Fukuroda (袋田) station. 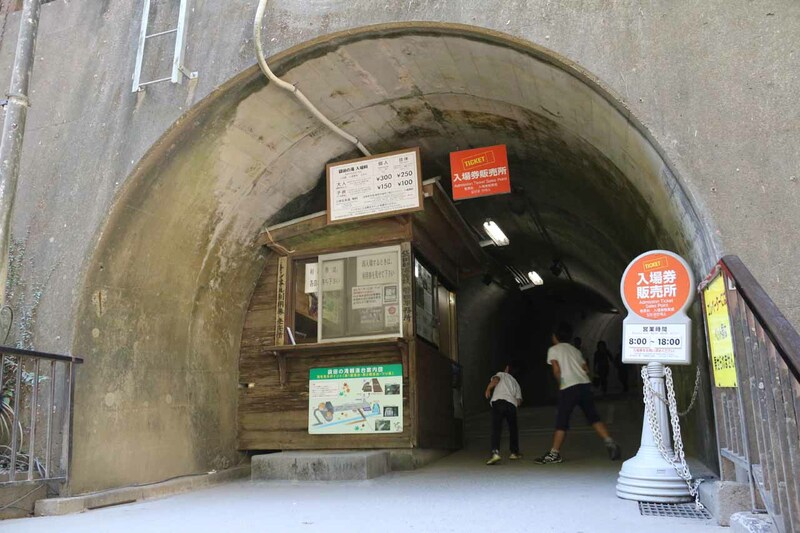 At the Fukuroda (袋田) station, we then caught a local bus to the Takimoto bus stop (costing us about 210 yen per person), where we then proceeded to do the walk as described in the introduction above. Just to give you an idea of the time commitments involved (and why I would recommend self-driving instead of taking the train), we’re providing the following pair of timetables. The first timetable tells you what we should have taken. The second timetable tells you what we ended up taking. Note the differences in time resulting from the infrequency of the JR Suigun Line. Tokyo-Ueno (上野) Station to Mito (水戸) Station on JR Joban Line: leaves 8:00am and arrives 9:18am on shinkansen or special rapid express train. (We also could have taken the train leaving at 7:30am and arriving at 8:50am). Covered by JR Tokyo Wide Pass. Mito (水戸) Station to Fukuroda (袋田) Station on JR Suigun Line: leaves 9:22am and arrives 10:31am on local train. Covered by JR Tokyo Wide Pass. Fukuroda (袋田) Station to Takimoto Bus Stop: leaves 10:35am and arrives at about 10:42am. 210 yen per person. 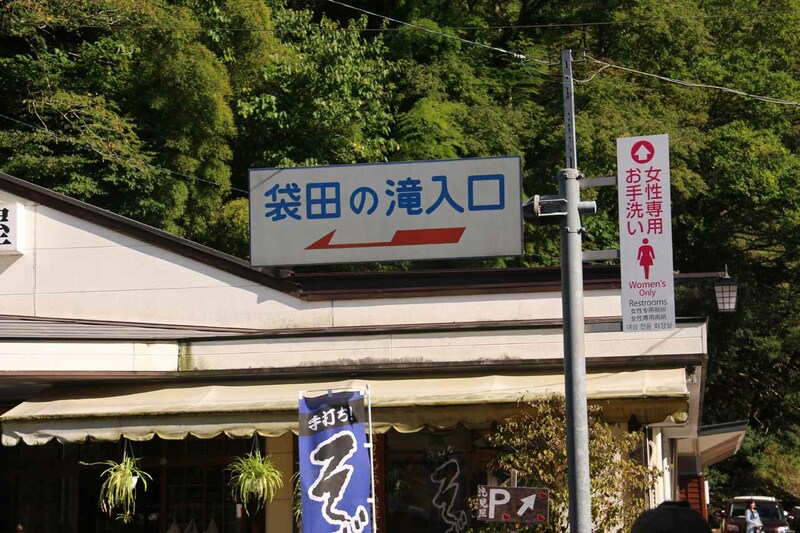 Takimoto Bus Stop to Fukuroda (袋田) Station: leaves 1:10pm and arrives at about 1:17pm. 210 yen per person. Fukuroda (袋田) Station to Mito (水戸) Station on JR Suigun Line: leaves 1:55pm and arrives 3:06pm on local train. Covered by JR Tokyo Wide Pass. Mito (水戸) Station to Tokyo-Ueno (上野) Station on JR Joban Line: leaves 3:22pm and arrives 4:39pm on shinkansen or special rapid express train. Covered by JR Tokyo Wide Pass. Tokyo-Ueno Station to Mito Station on JR Joban Line: left 7:32am and arrived 9:44am on rapid express train (it wasn’t the special rapid express shinkansen train that we should have taken). 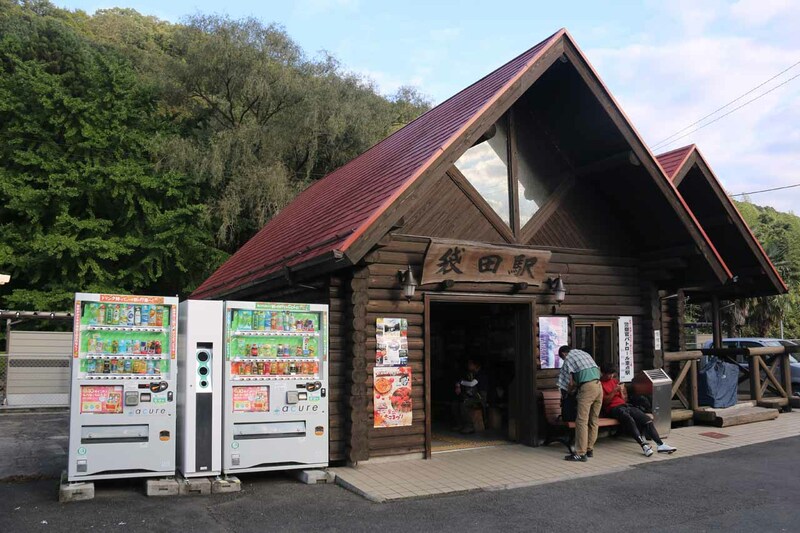 Fukuroda Station to Takimoto Bus Stop: left 12:30pm and arrived 12:37pm. Takimoto Bus Stop to Fukuroda Station: left 2:10pm and arrived 2:17pm. Given the train schedule, we could have waited to take the 3:10pm bus to get to the station at 3:17pm. Mito Station to Tokyo-Ueno Station on JR Joban Line: left 5:27pm and arrived 6:37pm on non-stop shinkansen or special rapid express train. 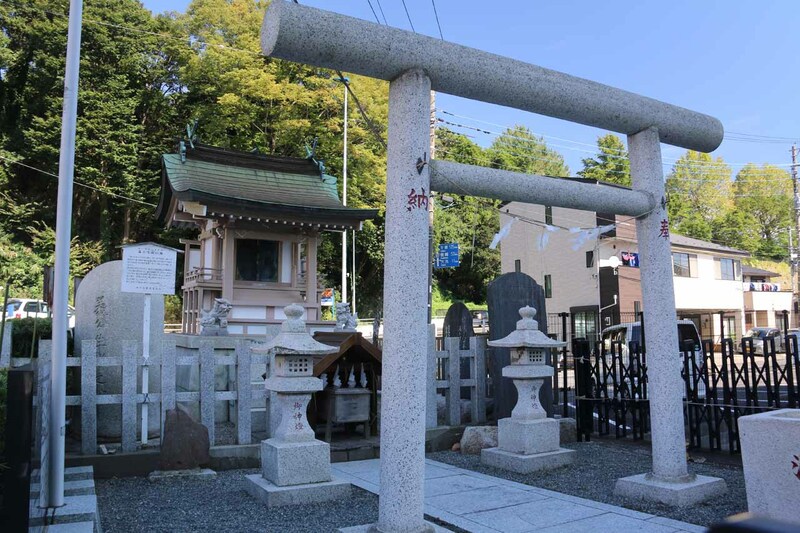 Finally, just to give you an idea of how much more flexibility we would have had if we self-drove, we could have picked up the rental car from the Narita Airport, then driven north on the Joban Expressway to the Route 118. 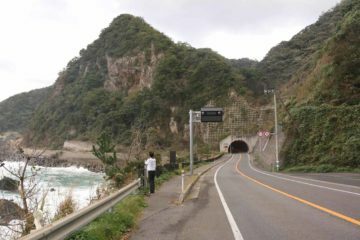 We then would continue north on the Route 118 to the Route 324 turnoff in the town of Fukuroda, and then follow the 324 to its end. This would have taken us around 2 hours in each direction.